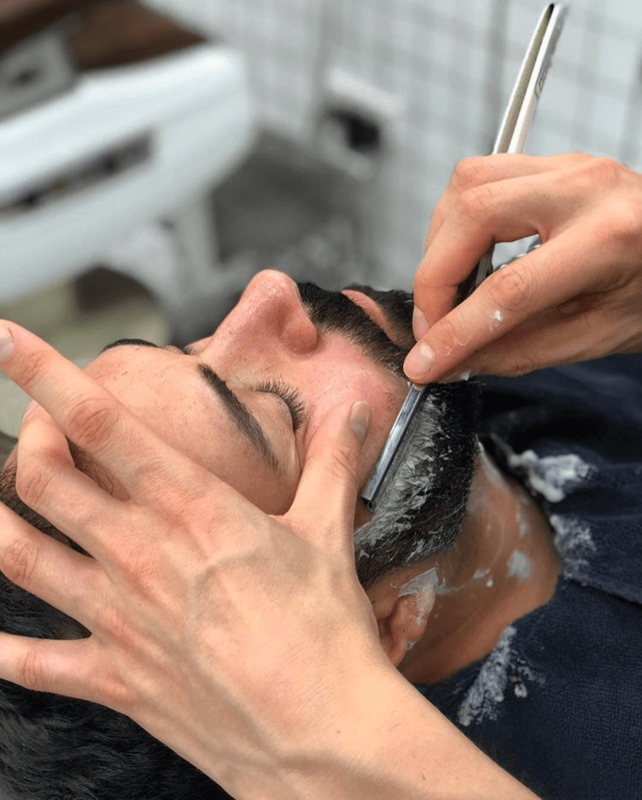 Named as one of the top 10 barbers to get a haircut in Melbourne, Drunken Barber offers barber-style cuts for the gentleman and gentlewoman of Fitzroy and beyond. There’s no need for appointments at Drunken Barber - just drop in, take a seat and wait for your name to be called. Grab a SAMPLE beer of your choice too if you’re feeling thirsty. Come for a chop, stay for the experience. At Drunken Barber, we charge one price for everyone for barber style cuts, cutting gender out of the barbering experience. Just excellent barber cuts and grooming at affordable prices at this barber shop. P.S. Our barbers are specialists and are not trained in hairdressing. We are unable to offer longer length hair cuts but don’t worry - we can still look after you at our salon, Prophecy Hair, downstairs. Whether you are after a simple trim, a complete restyle, short back and sides, a mullet or a bowl cut - we do it all, for everyone. Beard trims and shaves are also available. Great little barber. It's the upstairs part of another salon downstairs, so walk in the door and then up the stairs to the left, write your name down on the form, grab a beer and wait (the beer is free with the haircut). Friendly staff that know what they're doing. I still make the trip over this side of town for a haircut now that I've moved out of the area. Great barbers, the gents and ladies here are friendly and wonderful. You’re greeted with a smile, a beer and great conversation. While they are often busy you can leave your name and come back. Best haircut I've ever had. And my first straight razor shave. And a beer... Excellent all around! DO YOU OFFER BARBER-STYLE HAIR CUTS FOR BOTH MEN AND WOMEN? DO YOU OFFER HAIR CUTS FOR WOMEN WITH MEDIUM LEGHTH AND LONG HAIR? No. Our barbers are specialists and are not trained in hairdressing. We are unable to offer longer length hair cuts at Drunken Barber. Our salon, Prophecy Hair, located downstairs will look after you though. WHAT HAIRCARE PRODUCTS DO YOU USE? Uppercut, Mr. Smith and Qaba. Yep, we are generous like that. We also play fair so one SAMPLE beer per client. HOW DO YOU KEEP YOUR PLANTS LOOKING SO FLY? Plant Society is the answer to all your plant prayers. WHAT IS THE LATEST TIME I CAN DROP IN FOR AN APPOINTMENT? © DRUNKEN BARBER 2019. ALL RIGHTS RESERVED. MADE BY BEAURO.